Polacanthus was a armoured thyreophoran dinosaur, walking on all fours with rows of spikes along its back, and a large bony plate over the hips. These were to protect it from predators. 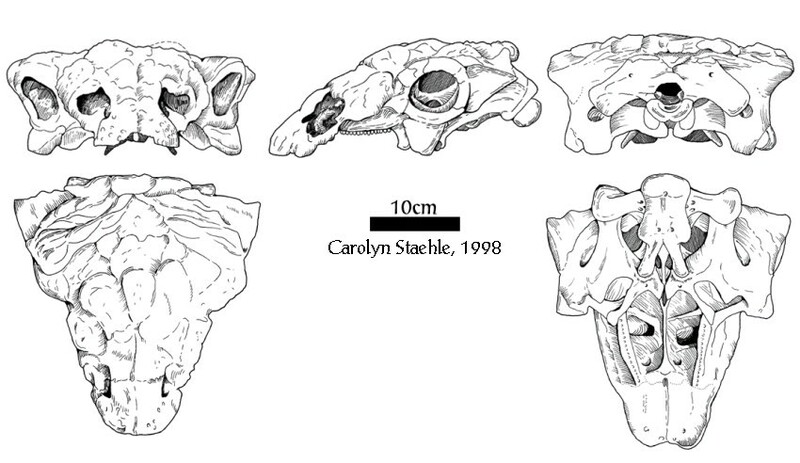 It had quite a developed brain for an ankylosaur, and may have been quite alert and mobile. In Polacanthus the atlas and axis are separate. The dorsal surface of the presacral centra are deeply V-shaped excavated by the neural canal; The synsacrum consists of five dorsosacral, four sacral and one or two sacrocaudal vertebrae. Caudal vertebrae transverse processes are present as far as the distal third of the tail, and the chevrons are not fused to the caudal centra. The coracoids are co-ossified to the scapula. The supraspinous fossa is absent. The humerus has a large deltopectoral crest that extends to midlength of the shaft; The ilium has a short, scarcely divergent preacetabular process. The femur with distinct lesser trochanter and fourth trochanter at the midlength of the shaft. The tibia is 37% shorter than femur. The armour is quite impressive, with bilateral rows of dorso-laterally placed conical spines along the trunk, tallest over the pectoral area, and tall, laterally flattened, triangular-shaped, laterally placed cervico-pectoral spines on solid, curved bases. Very noticeable is the large flat rectangular dermal shield covering ilia and synsacrum, ornamented dorsally with large oval ridged bosses laterally, low round bosses medially and separated by tubercules. Large tall-spined flattened plates extend laterally from the edges of the sacral shield. 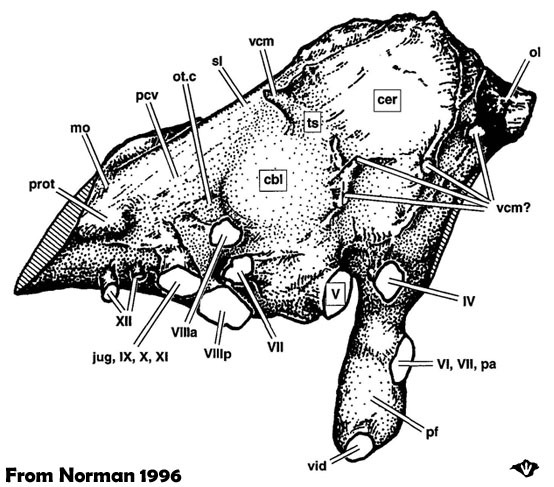 There are bilateral rows of laterally flattened, hollow-based caudal plates, and the distal tail ends in a bone mass composed of oval dermal bones overlying a fused vertebral core and ventral ossified tendons. The underside of the osteoderms show cross-hatching of fibrous bone, and are among the most common Polacanthus material found on the island. 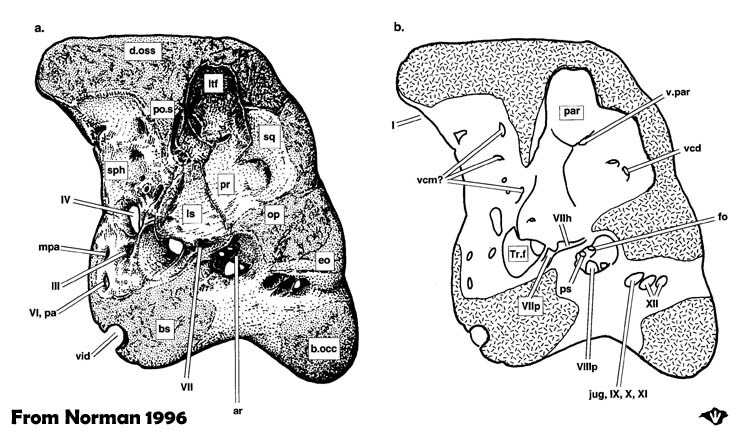 There is also a potential braincase, collected at Chilton Chine.